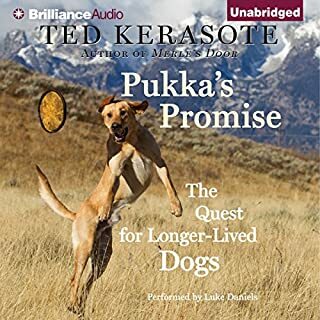 Ted Kerasote met and adopted Merle, a Labrador mix, while he was on a camping trip. Merle had been living in the wild, and after taking the dog home with him to Wyoming, Kerasote soon realized that Merle could not adjust to inhabiting exclusively the human world. So he put a door in his house to let Merle live both outside and in. 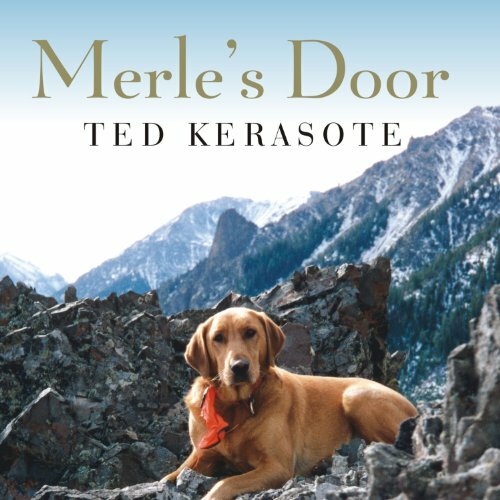 A deeply touching portrait of a remarkable animal, Merle's Door explores the issues that all animals and their human companions face as their lives intertwine and presents the latest research into animal behavior, as well as the origins and evolution of human-dog interaction. Merle showed Kerasote how dogs might live were they free; Kerasote suggests how they should be allowed to live, and the doors that should always remain open to them. ©2007 Ted Kerasote (P)2007 Tantor Media Inc.
I’ve listened to over 70 audio books and this was unequivocally the best one yet. 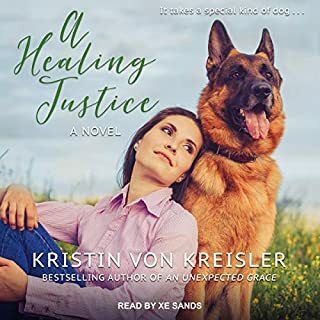 Entertaining, educational, exquisitely written and truly heart-warming, Kerasote gives the reader a new insight on the human-dog relationship. No longer will you believe that humans should be the “master” or “alpha dog” over our canine companions. 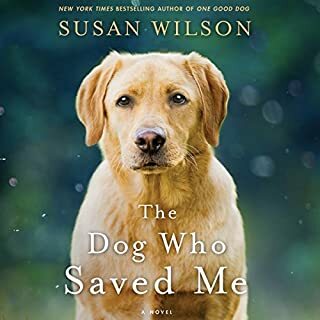 Everything I’ve ever learned about dogs and had accepted as “common knowledge” had to be revisited after listening to this book. As a result, I now have an entirely new outlook on raising and living with dogs. The story of Ted and Merle was so emotionally addicting, I consumed it from start to finish in less than a weekend. It is a wonderfully written book from a truly remarkable author that found a friend and companion that taught not only him, but all who have read his book. Thank you Mr. Kerasote for sharing your story of one of the most remarkable dogs ever. Coupled with the marvelous narration of Patrick Lawlor, Merle’s Door is definitely a winner and unquestionably worthy of five stars in every aspect. This is a wonderful book. I just finished the last 30 minutes of the book while viewing the "Merle Slideshow" on the author's website (www.kerasote.com). I wouldn't recommend doing this unless you have a box of tissues close at hand. This is without a doubt one of the most wonderful books I have ever listened to. I was apprehensive at first about buying it, but gave in to my love of dogs and did so. I am so glad I did. This book is very amusing -- I had a smile on my face almost all the way through. It is also very educational. The combination of the author's descriptions of Merle's behavior and the reader's interpretation of his 'voice' are just great. This story -- Ted's relationship with Merle -- is very moving. Since listening to the book I have seen the hardcover and there is a photo of the two of them which expresses exactly the love between them, which is captured beautifully in the audio. All the peripheral characters are fleshed out well without interrupting Merle's story; they simply add to it. The book flows effortlessly and I didn't want it to end. I highly recommend - a thoroughly enjoyable listen. In each chapter the author relates facets of the life he shared with Merle; which were delightful and humorous, enchanting and poignant. And on every level, the story is thoroughly satisfying. Ted Kerasote has captured the endearing character of Merle's personality. Few humans ever know their fur kin so well. And much of what made Merle's persona so robust was the freedom Ted Kerasote gave Merle--allowing his canine companion to become the best dog he could be--and that being, not necessarily the best dog as defined by human standards. By respecting each other and by compromising a part of themselves for the other, they became the best of partners, and in retrospect, the better beings for having known each other. 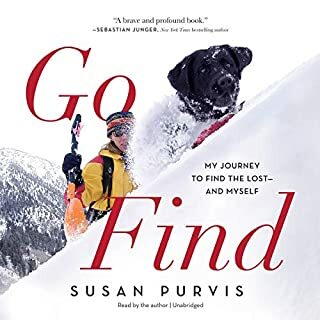 If you have ever had a special relationship with a canine--a bond that connects the two of you on a level that transcends the old phrase "A man and his dog", this book will make total sense to you, and you will wonder how you ever missed the cues your canine companion was giving you. I love Merle. This is a very compelling tale of a dog you cannot help but love. The author portrays his great personality with such humanity. 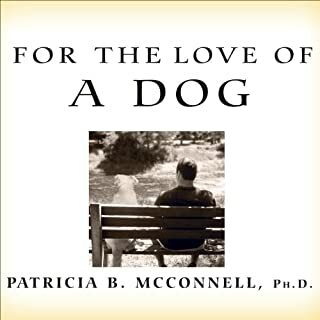 This is a book for anyone who has loved a dog and has treated one as valued family member. The author also does a great job of relaying facts and history of the evolution of this great relationship which many of us are lucky enough to enjoy. 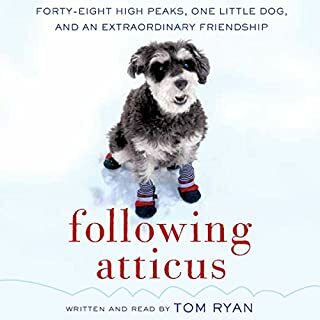 This book is for anyone who's ever had a dog look at them and say, "You need a dog, and I'm it." I've read a lot of books about dogs, and books about dog behavior. This book combines both in a way that will instruct you, make you laugh, and make you cry. The author presents factual information about dogs along with a variety of opinions and popular theories about dog behavior, which is interesting. But he also tells one of the best "dog-oirs" I've ever read. The narrator is one of the best I've heard so far too. I have been a member of Audible for at least 3 years and have downloaded on average 3 books a month. Although I normally love a good mystery, I was drawn to this book because of its subject matter, a dog named Merle. My husband and I are owned by two labs; so I related to the author and his relationship with this special animal. The book was by far the best on I have listened too. The fact that it was read by the author lent that much more interest and emotion to the read. I laughed a lot and toward the end cried a lot too. I cannot recommend his book enough to any reader who is owned or has been owned by a dog. I found Patrick Lawlor's narration of this book annoying. He frequently attempts to mimic a dog panting and it sounds more like a cat coughing up a fur ball. I wonder if the author actually wrote those pants (I'm not sure how you'd spell them) or if the narrator was embellishing. Regardless, it was annoying. He also takes on an accent when delivering the dialog of people from other countries (e.g., Germany, Australia). This is also annoying, he does it badly, and it is completely unnecessary. As for the story, I found it lacking. He tells the story of the years he spent with his dog, interspersed with factoids about dogs. It's nice that he found a great dog, and that the dog enjoyed a nice life with him, but that's not enough. Something was missing. There was nothing particularly profound or even that interesting about the story. I have had dogs for years, I've done fun stuff with them, and some have died, but I don't feel the need to write about it. If you are a truly dedicated and loving dog owner, there is no reason for you to read this story. You are living it.